NO PURCHASE NECESSARY TO ENTER. 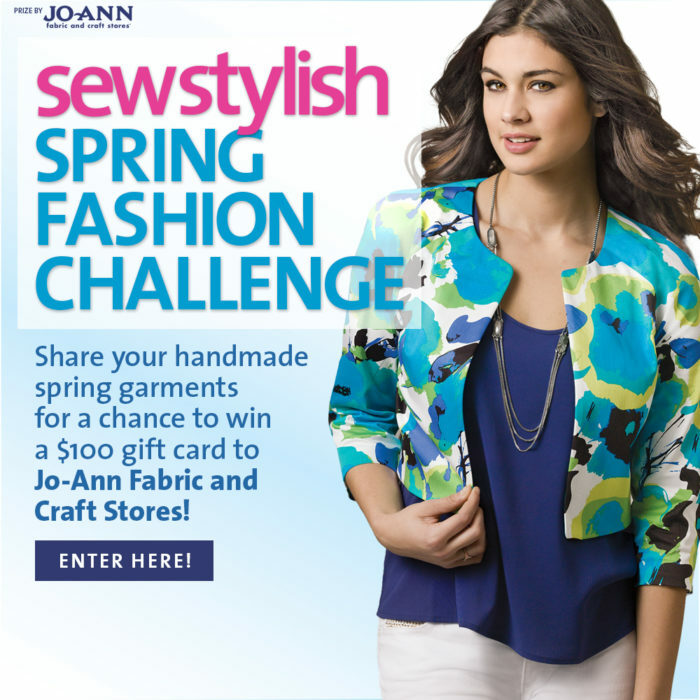 Entries for “SewStylish Spring Fashion Challenge 2015″ Contest (Photo Contest) will be accepted during the period beginning at 12:01 a.m. EST on March 26, 2015 and ending at 11:59 p.m. EST on May 29, 2015 (the “Contest Entry Period”). All entries must be received during the Contest Entry Period. The Contest is only open to legal residents of the United States and Canada (except Quebec), who are at least 18 years old. Contest void where prohibited. TO ENTER: There is one way to enter the contest. 1.) Visit https://www.threadsmagazine.com/contest/sewstylish-spring-15. Create a free account if you do not already have one by entering your first name, last name, email address, password, security question and screen name. Once you have created your account you can then upload your photo(s) by entering a title, attaching the photo(s) and adding a brief description of your project or photo(s). Please include a summary of techniques and materials used. Submit your completed online entry form. All entries become the property of the Sponsor and may be published in any media and in any format at any time they wish in perpetuity. 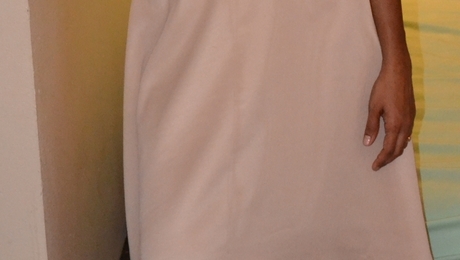 The winner will be announced on or about June 15, 2015 by Sponsor, whose decisions will be final and binding in all matters related to this Contest. The winner will be notified by email. Odds of winning will depend upon the total number of eligible entries received. One winning entry per person, household, or family. 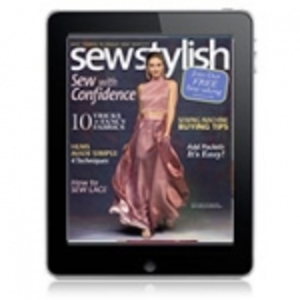 CLAIMING PRIZES: Winners will be notified by email within 10 days of the selection. The winner must sign and return an Affidavit of Eligibility and Liability/Publicity Release (or in Canada a Declaration of Compliance) within 10 days of notification, or prize may be forfeited. Winner will also be required to provide proof of age. (Tennessee residents will not be required to sign Publicity Release as a condition of winning a prize.) Residents of Canada, in order to win, must first correctly answer a mathematical skill-testing question administered by mail or e-mail at Sponsor’s sole discretion. All prizes will be awarded. 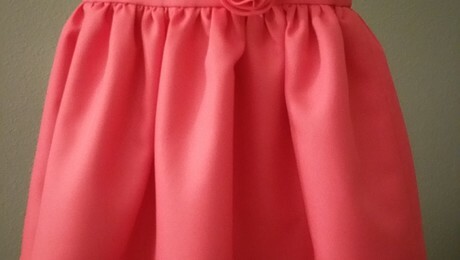 WINNER’S LIST: Send self-addressed, stamped envelope by July 15, 2015 to: Threads magazine “SewStylish Spring Fashion Challenge 2015” Contest Winner List Request, PO Box 5506, Newtown, CT 06470. 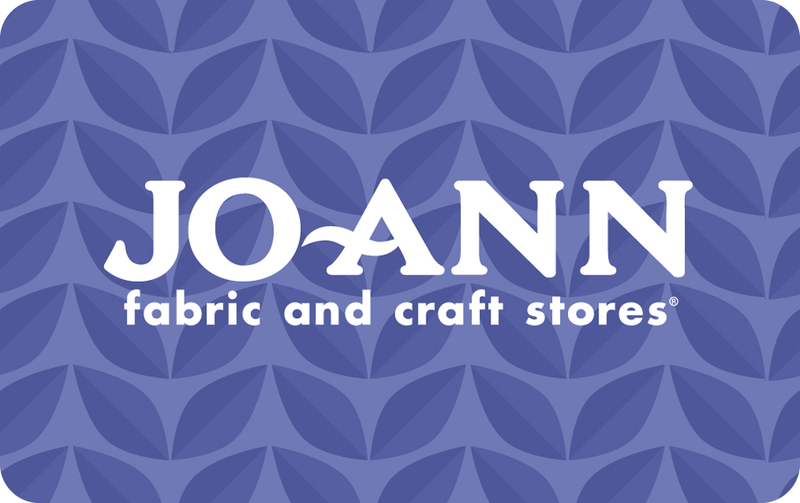 You could win a $100 gift certificate to Jo-Ann Fabric and Craft Stores!